Donnie Yen Gets In Your Face In IP MAN 3D | Birth.Movies.Death. I quite like Donnie Yen's Ip Man movies; while neither are particularly accurate representations of the famed martial artist's life, they're both fun and colorful and feature incredible fight scenes. The second film ends as Ip Man meets his most famous student, Bruce Lee (as a child), and there was talk of capping the whole thing there. 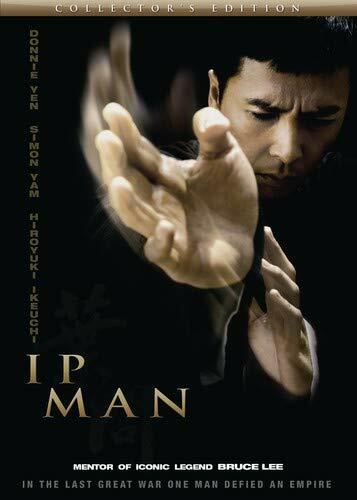 But Donnie Yen has been convinced to come back and finish the trilogy with Ip Man 3... in 3D. The whole gang is back for the third film, including director Wilson Yip. Apparently there was some kerfuffle with Bruce Lee's estate about screen rights to his likeness (which is why he was a kid in Ip Man 2, I have read), but that's been cleared up and Bruce will play a part in the film. I don't know who is playing Bruce, but this sounds like it's ripe for a spin-off. It also sounds like I'm about to see Donnie Yen's foot coming right into my face in 3D, and I couldn't be happier.